Critics say that the Modi government is responsible for keeping the border hot. According to statistics, 724 ceasefire violations have been reported till October this year. New Delhi: Pakistan's offer to resume dialogue with India triggered a series of meetings both in the North Block and South Block of the Cabinet Secretariat in New Delhi on Friday. 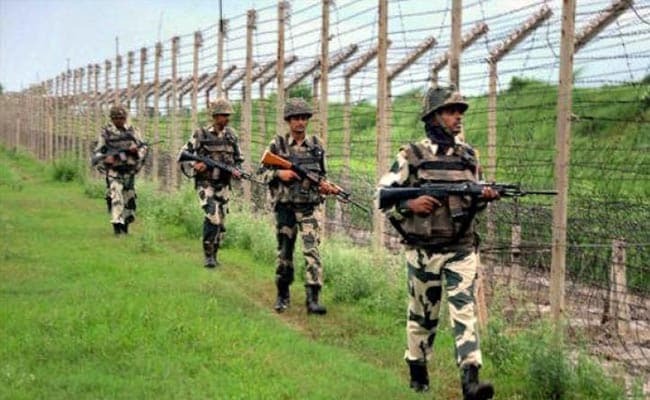 The Ministry of Home Affairs has collected the data of ceasefire violations, infiltration attempts and level of violence in the state since the dialogue was stopped. This data has been sent to Prime Minister Narendra Modi's office. These numbers, accessed by NDTV, clearly show that both the Line of Control and International Borders remained volatile in last one year. Ceasefire violations saw an increase of 100 per cent. According to statistics available with the ministry, 724 ceasefire violations have been reported till October this year. In comparison, last year there were 449. Critics say that the Modi government is responsible for keeping the border hot. Home Minister Rajnath Singh has often said that if Pakistan fires once, India will fire back a dozen times. The data seconds the high pitch of the government. Under the UPA-2 regime, about 461 ceasefire violations were reported between 2010 and 2013. There has been a sharp increase in violations since the BJP-led NDA government took over. Between 2014 and 2017 so far, there have been as many as 2,161 ceasefire violations. These violations led to a large number of casualties too. In the Manmohan Singh government, between 2010 and 2013, only four civilians were killed and 31 were injured in ceasefire violations. But after the Modi government took over, these numbers escalated almost 13 times. As many as 55 civilians were killed and 334 injured from 2014 till the end of October this year. And in these violations, as many as 17 security personnel were also killed in first 10 months this year. Last year in 2016, the figure was 13. The comparison of last seven years also shows that while between 2010 and 2013, 17 security personnel were killed, the figure shot up twice in next four years between 2014 and 2017 to 43.